Dallas Personal Trainer - A fantastic progression (more advanced versions) of the regular pushup but not typically used by a regular Dallas personal trainer. Load a barbell with 45 pound plates (preferably hexagonal plates so they won't roll away). Place the barbell on the floor a few feet away from the side of a bench. Put your feet on the bench and your hands on the barbell. Perform pushups from this position using the same technique as you would use for regular Pushups. 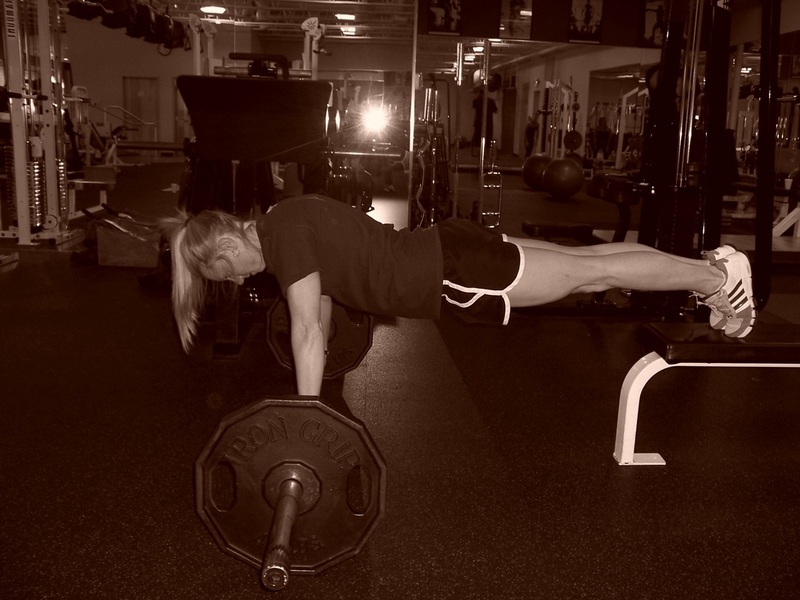 Because of the positioning of this version of pushups, when you lower yourself to the bar you should touch your upper chest rather than the middle of your chest to the bar.